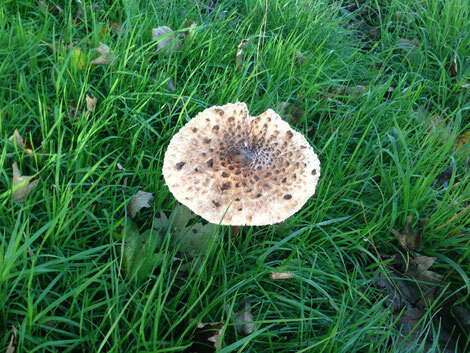 As so beautifully expressed in Philip Larkin's Poem "First Sight", where he describes the the excitement of lambs born in snow encountering grass for the first time, I still get this sense of excitement and surprise at nature's unexpected treasures, especially when it comes to wild mushrooms in Autumn. From Parasols, Chantarelles, Boletes, at the beginning of the season, to the Blewitts in November, the earth surprises us with these nutrient-dense superfoods as a treat to get ready for the winter season. 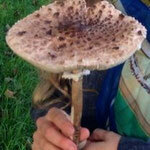 Mushrooms contain a lot of compounds called beta glucans, which stimulate the immune system. 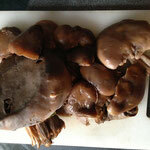 They have a very low glycaemic index, are high in some B Vitamins and have a good range of of amino acids (proteins). 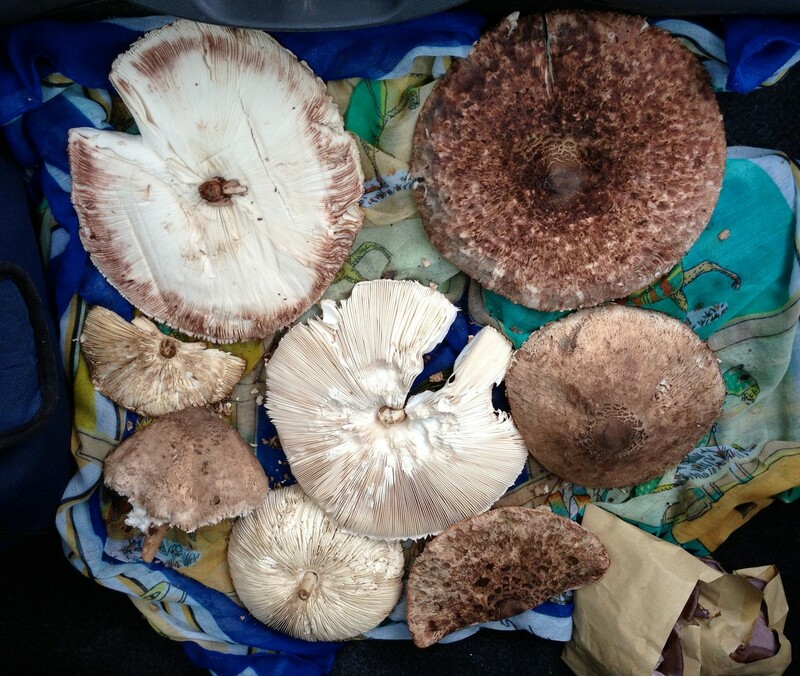 If you can't get your hands on wild mushrooms, or are nervous about picking them, sometimes these delicacies can be found on farmers markets, and there are more and more exotic mushrooms available these days in most supermarkets. 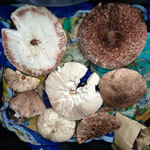 Oyster mushrooms help to control Cholesterol levels and have a beneficial effect on the body's detox pathways. 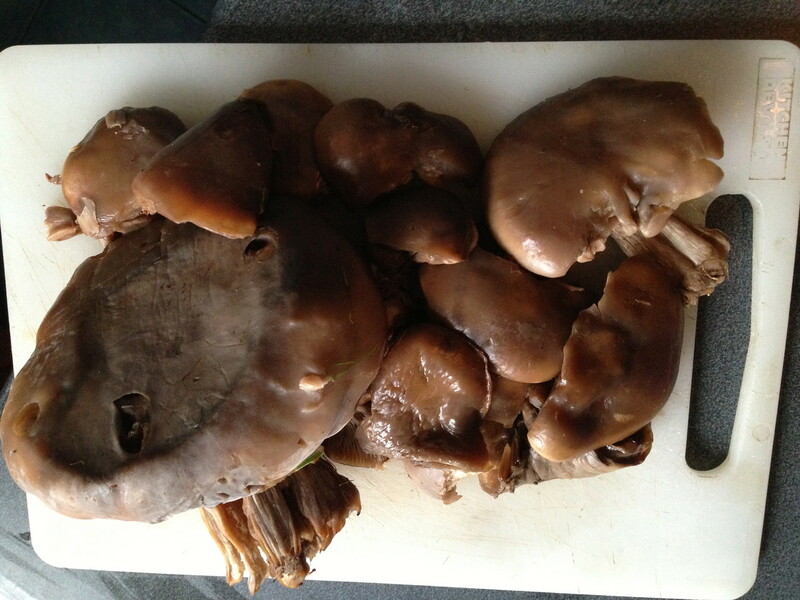 Shitake mushrooms have been used for thousands of years in Chinese Medicines and are renowned for their wide-ranging health benefits. 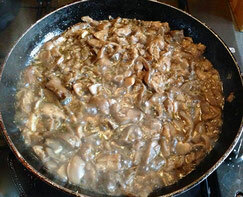 They are wonderful in stir-frys as they add a lovely "meaty" texture. But, let's not forget about the humble button mushroom, which is readily available and, like all other mushrooms, promotes immune activity. My favourite way of preparing mushrooms is to sauté them with garlic, tomatoes and lemon and, depending on the type of mushroom, different herbs and spices. This is a quick and simple dish, and works with rice, pasta, potatos or any veg. 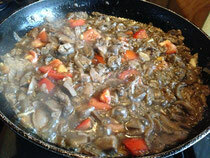 Melt coconut oil in a sauce pan, chop mushrooms (quarters), chop garlic and tomatoes. Add chopped mushrooms and garlic into pan, sautee at a medium heat for 5 minutes, add tomatoes and cover with lid, sautee for 5 minutes, then add majoram, soy sauce, black pepper. Sauteee covered for another 5-10 minutes, add lemon juice 1-2 minutes before serving. If you cover the mushrooms whilst sauteeing they will be more liquid, without they will be more dry, so it depens a bit on yor perference and what you are going to use them for. The Blewitts in the picture contined a lot of water, so I cooked them in a frying pan rather than a saucepan as water needed to evaporate. For a more substantial dinner add 1/2 juice of lemon and 2 tablespoons of white wine. Soy sauce does not tend to go that well with Porcini mushrooms (Boletes), they are better with a little but of salt, oregano (1 teaspoon) and some sun dried tomatoes and a few capers. For stir-fries and exotic mushrooms (Enoki, Shitake etc.) add 1/4 teaspoon of ginger powder, or a teaspoon of freshly grated ginger, and 1/2 teaspoon fo ground coriander. 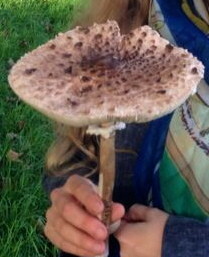 The exception of course are Parasols! 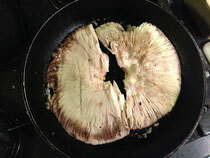 If you are lucky and find these outstanding mushrooms, they taste amazing just fried in a pan!